The Cape Fear suite is the one of the “crown jewels” of The Marsh Harbour. 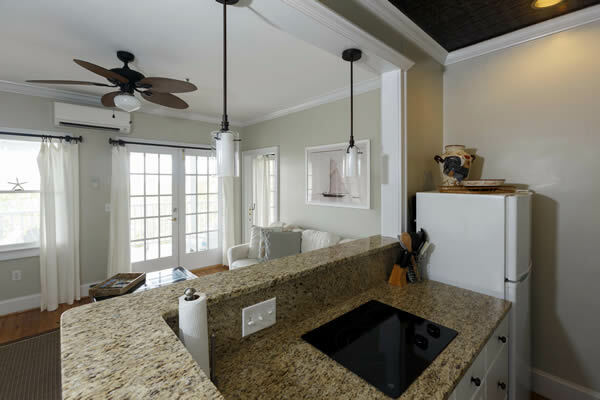 Features include a Living Room/ Dining Room combination, kitchenette with granite counters, full-size refrigerator, mircrowave, stove and sink. Beautifully decorated the ambiance of this suite is purely magical with beautiful hardword floors, custom furnishings and decor. The master bedroom includes a king-sized bed with plush linens. No detail has been overlooked. You will also appreciate the 30-foot covered porch with dining table… the perfect place to take in a gorgeous Bald Head Island sunset. The views from this suite are simply amazing. 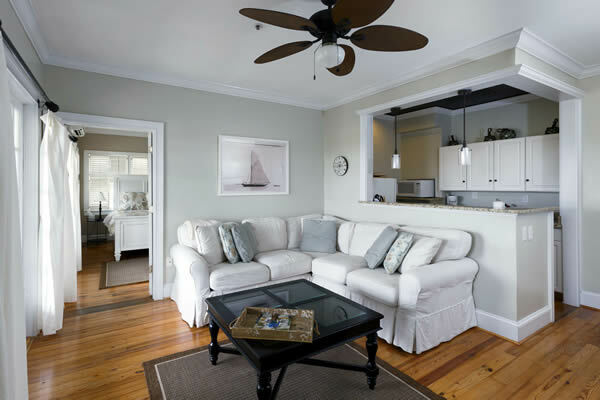 By adding the adjoining Ocean Vista suite this becomes the two-bedroom, two bathroom Cape Fear Grande suite.